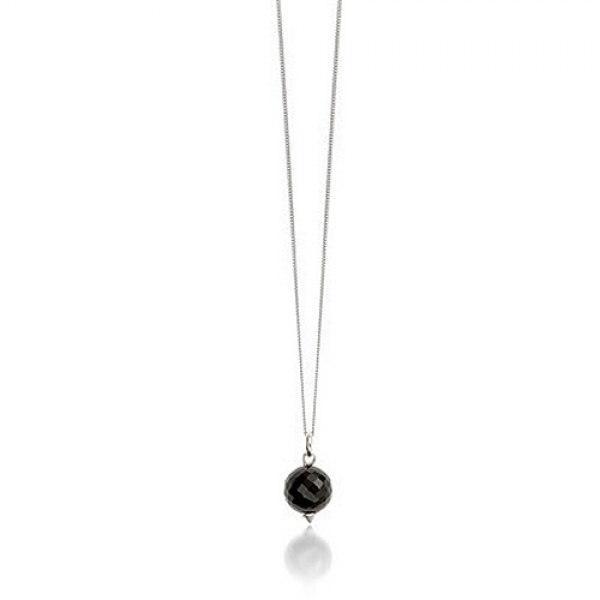 Only one piece remains of this designer onyx necklace. Featuring a large round faceted black onyx gemstone which is set on a 16" sterling silver chain, it's simple yet stylish! Stone diameter approx: 1.2cm. Its perfect with any outfit, for day or night; complement with the Medina Black Onyx earrings for a perfect set. Also complete your look with the Medina Black Onyx ring.